BEST PRICE IN ALORA SUNSET RIDGE! 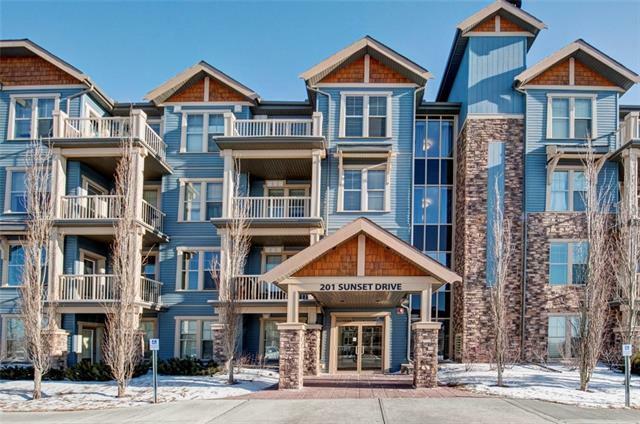 Wonderfully maintained main floor unit w/functional floorplan & 2 TITLED PARKING STALLS awaits. Open concept living w/9ft ceilings & abundance of natural light. 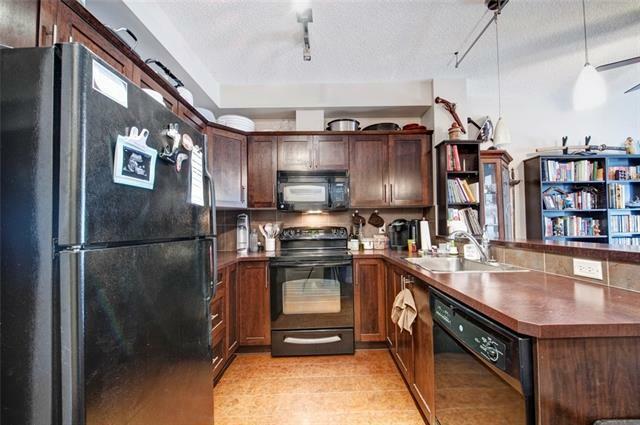 Kitchen has plenty of storage & counter space plus raised bar w/room for stools. Dining room overlooks spacious living room w/large SW facing windows. Patio door leads out to your own patio space w/gas line & mountain views. Computer has its own space w/tech nook w/built-in desk & cabinets. Each bedroom is well sized w/plenty of room for your furniture...added bonus in the master w/walk-in closet. HUGE 4-pc bathroom w/big soaker tub & separate shower. Insuite laundry & storage room make life easy. 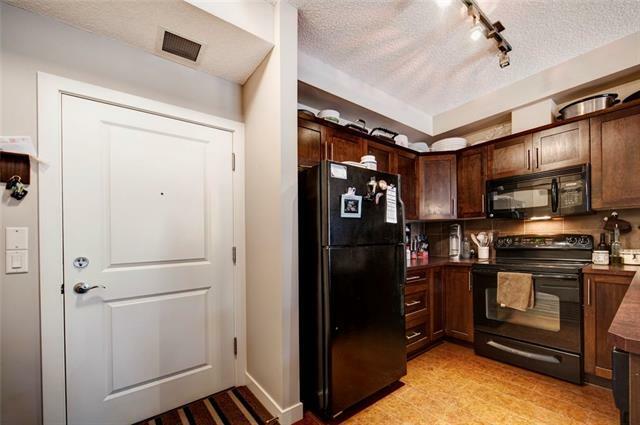 Unit comes w/2 titled parking stalls...1 heated, underground stall w/storage cage & 1 surface stall! 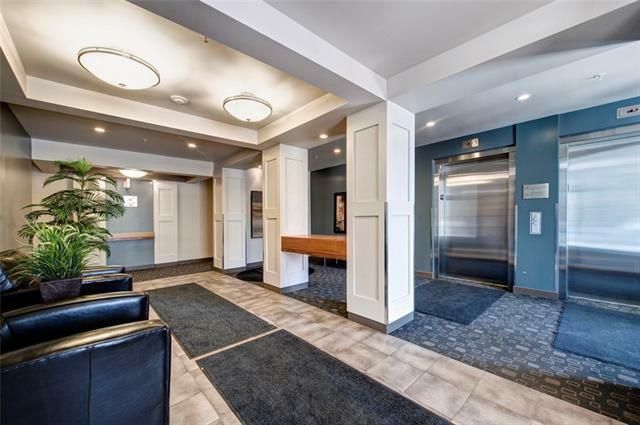 Well managed complex w/guest suites & gym facilities. Take advantage of the close amenities including Kids & Company, pharmacy, Crowfoot Liquor, Brooklyn Social House & K-8 RanchView School.